If you’re looking for HealthFirst health insurance quotes, you need not go far. Vista Health Solutions can connect you with leading health insurers in your area. With Vista Health you can find reliable health insurers with quality health plans like Health First health insurance. We make finding health insurance convenient for you. By entering your zip code you will find all the plans available for you including HealthFirst health insurance plans. Our site makes it easy for you to compare the plans side by side. And should you need any clarification, you can just call our customer service number and our representatives will happily assist you. 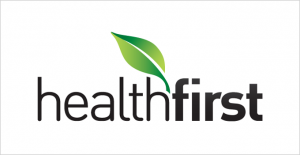 Healthfirst Health Insurance, Established in 1993, was ranked as having the top health plan in NYC and Long Island by the Consumer Guide to Medical Managed Care in NY in the year 2013. HealthFirst is a not-for-profit organization with a goal to provide coverage for people through low-cost or free government-run organization. In addition, Healthfirst’s customer service representatives can help all customers over the phone in both English and Spanish. Please use the link above to generate a HealthFirst Instant NY health Insurance quote.